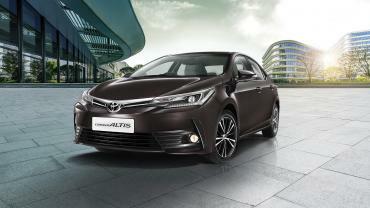 According to a media report, Toyota does not plan to upgrade the Corolla to meet BS-VI emission regulations. The new emission norms are set to come into force in 2020. As part of its partnership with Suzuki, Toyota was supposed to supply the Corolla sedan that would be launched as a re-badged model under the Maruti brand. However, if plans for a BS-VI upgrade are shelved, then Maruti's version of the Corolla seems unlikely. Reports suggest that Maruti and Toyota believe that the C-segment is unlikely to generate sufficient volumes for both the brands to justify business. But the two carmakers have already confirmed that the joint development of a Toyota C-segment MPV. Suzuki will benefit from Toyota's expertise when it comes to hybrid technology. Toyota will assist Suzuki to localise electric systems and batteries for its future models in order to meet the upcoming Corporate Average Fuel Economy (CAFE) norms. In return, Toyota will gain access to models like the Vitara Brezza, Baleno, Ciaz and Ertiga.